View More In Lace & Tatting. To call what Janet Bolton makes with fabric 'patchwork' doesn't do justice to her creations - hers are images, pictures that capture fragments of an imagination that can strike anywhere, at any time. In Fabric Pictures, Janet shows you how to create beautiful pictures on fabric. Taking you through her personal method, she will guide you to find the inspiration around you and teach you how to turn your creativity into a textile project and develop your personal 'voice'. The book is divided into two main sections - the first on how to find inspiration, the second on how to put your ideas into practice, complete with a step by step example that will show you every stage of construction from beginning to end. 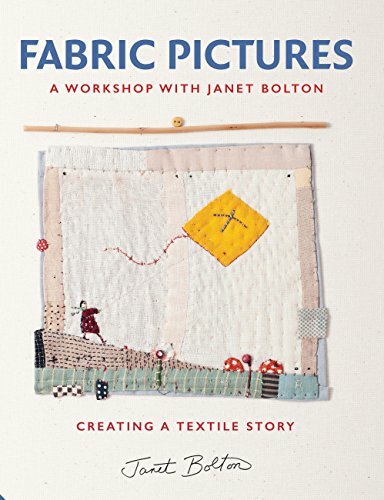 Just like in her workshops, Janet's guidance in the book is friendly, reassuring and inspiring - once you finish your first project you won't be able to wait to start the next. If you have any questions about this product by Jacqui Small, contact us by completing and submitting the form below. If you are looking for a specif part number, please include it with your message.